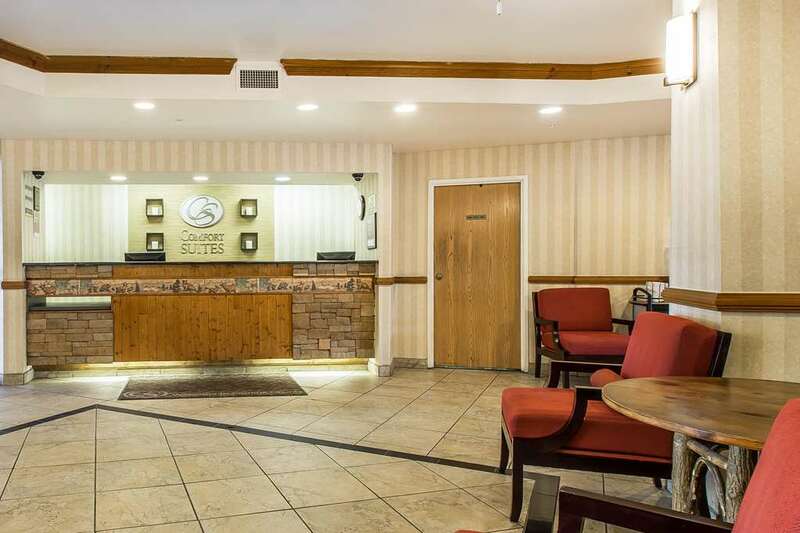 Get more of the space you need to spread out, relax or work at the smoke-free Comfort Suites Summit County in Dillon, UT, near Stagecoach State Park. Nearby attractions include Colorado Hot Air Balloon Rides, Arapaho National Forest, High Country Highlands at Maryland Creek Ranch and USA Pro Challenge Cycling Tour. Enjoy free hot breakfast, free WiFi, fitness center, indoor heated pool and an indoor-outdoor hot tub. Your spacious suite includes a flat-screen TV, hair dryer, coffee maker, microwave and refrigerator. Also, earn rewards including free nights and gift cards with our Choice Privileges Rewards program.